The Phoenix Rises Once Again! “out of the ashes of economic strife will rise a renewed focus on american prosperity”. 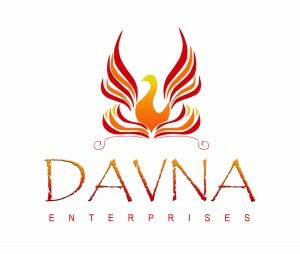 This is my new brand moving forward in 2010. I don’t know how many of you watched the “State of Union Address” last night, but I could not help but be drawn to Obama’s determination and strength under fire. Here is a man who stepped up to the challenge, knowing what he was getting into, not for popularity’s sake to because of a genuine desire to make a difference. Granted we may not all agree with his methods, but the fact of the matter is…he is doing something. Right or wrong, it is better than sitting back and complaining without an alternative plan to bring to the table. Ok I’ll now step down off my soapbox. Some of you probably already know this, but for those who don’t, I have been taking classes to dive deeper into the social media networking genre and learn everything there is about this new venue. It is my goal for 2010 to become one of the few social media experts that deals specifically with the AEC environment. Today’s lesson was on the advanced aspects of LinkedIn and how it can be utilized as a research and search outlet to connect and gather information on individuals and firms in the industry. It was amazing the level of detail that can be obtained to position yourself to effectively reach out and touch that next new prospect. What I am finding during my journey into the social networking community is that the walls are torn down and humanity creeps in. People are not as defensive and are more open to developing professional relationships that are supportive rather thancombative. That is what relationships are all about. Granted, the goal is to eventually land that “paying” gig, but it stands to reason that offering that gig to a friend is much easier than someone you do not know. And, as I stated earlier, the detail that can be obtained through the various social networks help to reinforce those relationships. As we move forward into a new decade with a sense of renewed hope, let us always keep in mind who we are (Americans and human beings) and that we are all working toward a common goal…”prosperity”. I encourage everyone to step out and connect with colleagues, friends and peers through your social networks.